Ready to Onboard the Millennials? Are You? Millennials are known for their love of technology and ability to multi-task. They look for this flexibility in all aspects of their life – including training. And, the first impression is the best! So, capture their attention right from day-one by offering an interactive, immersive online onboarding program. 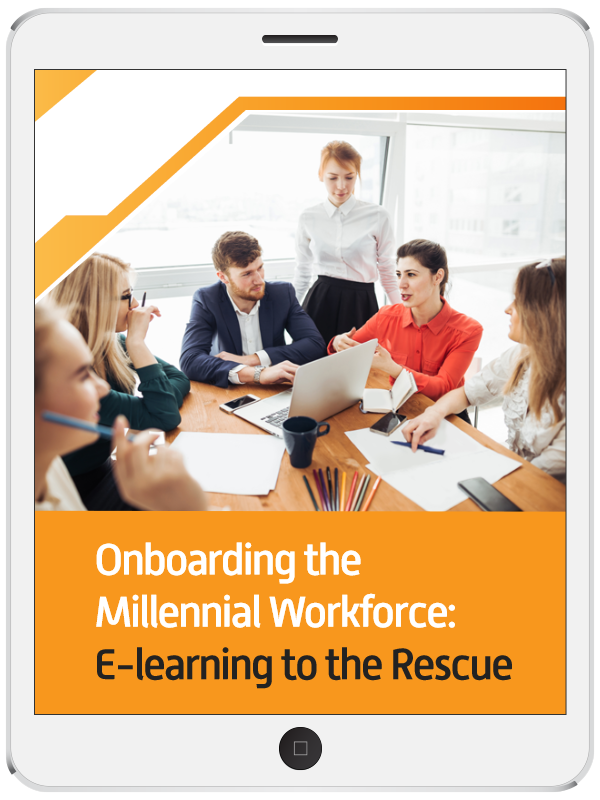 In this eBook, learn how to infuse your online onboarding program with gamification, provide employee-centric training, offer mobile support, prepare alternate learning paths, assess and evaluate learning in stress-free ways, and more.